The WHDA US PTO Litigation Alert blog just listed last week's reexamination requests filed with the United States Patent and Trademark Office, and the targets of those filings include two Apple design patents covering the on-screen representation of a page turn. 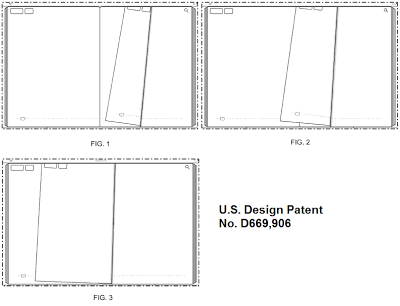 One of these patents, U.S. Design Patent No. D670,713, was granted on November 13, 2012, received significant media coverage in mid-November and provoked quite some outrage because the idea of a page-turn animation appeared too basic and the resultant monopoly too broad to many observers. The other one, U.S. Design Patent No. D669,906, granted on October 30, 2012, raises the same questions. 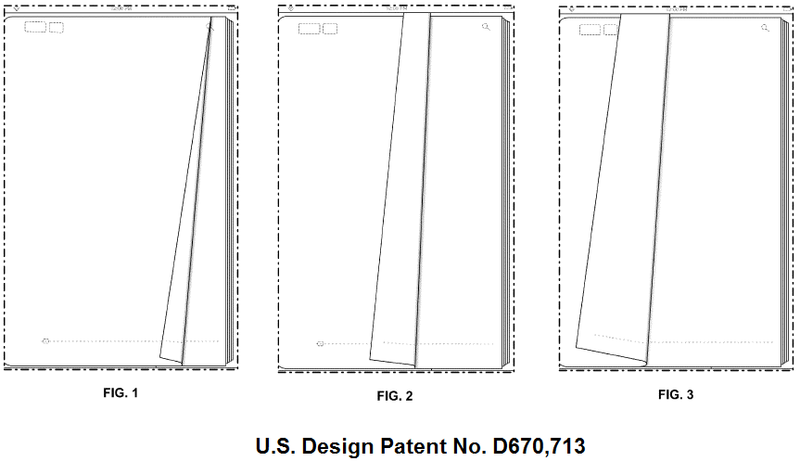 Someone is now trying to shoot both these design patents down before they ever get asserted in litigation. Earlier reexamination requests challenged patents Apple was already asserting in litigation. In this case, the motivation behind the reexamination requests may be that someone actually being sued by Apple (or anticipating such litigation) decided to launch a pre-emptive strike. All the media coverage of the grant of the D'713 patent may have sparked the interest of someone who feels that patents of this kind must be defeated before they can do any damage through litigation. 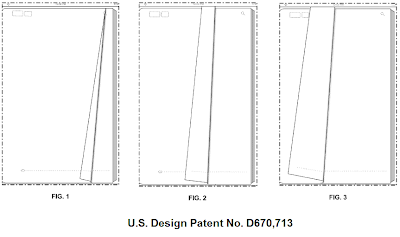 Makers of e-reader devices must be particularly concerned about page-turn design patents. Apple is definitely not the only company trying to lay exclusive claim to basic concepts. Most companies in the industry are playing this game. For example, Google got an absurd patent for its "Google Doodles". Apple just gets more attention for this, and even if Apple dropped all patent litigation tomorrow, its new patent grants would still be watched more closely than those of most other companies.